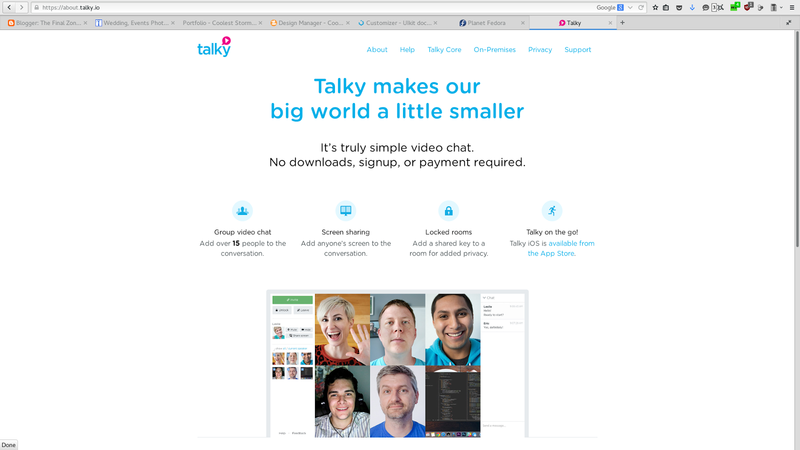 Talky.io have updated their website featuring their WebRTC chat. One of intriguing feature is the support up to 15 people highlighted below. It appears their systems is a worthy alterntive of Google HangOut. It will be nice project like Empathy carries more love.